Sending out a survey for tomorrow. Let me know if you’re in. Might be tough to secure our spot on 17th and Independence given the Women’s march and general busy-ness of the city this weekend. But we’ll do what we can if there’s sufficient interest to play. 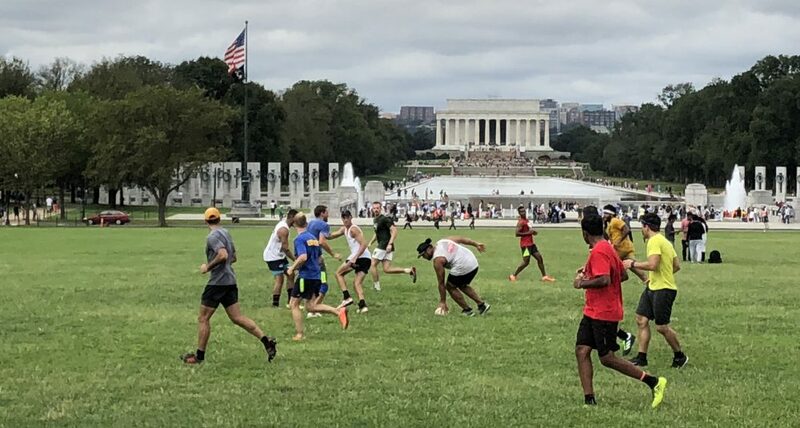 We played yesterday am, impossible to park by the mall (took me 20 min and I had to go a mile from the field at 7am), recommend somewhere a bit a ways like meridian hill park. Hi there! I’ve just moved here from Ireland & I’d love to start joining you guys. Are you taking new people? I’m free tomorrow. I’ve played ‘tag’ rugby but never ‘touch’ rugby.